Not that I'm against floral print jeans, but I'm definitely ready for something new! 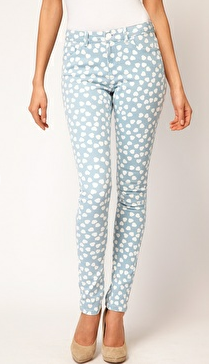 Love these heart print ones so much and they're just $61 at ASOS! !